Welcoming Seniors’ Spaces was built and funded on the premise that seniors’ programs, services and gathering spaces already exits. However, previous research revealed that seniors 75+ are often excluded from participation on the basis of barriers such as income, language or culture, physical or mental health challenges. Based on the success of the existing Outreach Ambassador Program at Burnaby Neighbourhood House, we believe that reduction of isolation in this target group is possible by implementing four approaches. Collaborate with our seniors (volunteers and clients) to help us shape the seniors’ programs which help us to gather quantitative and qualitative data. 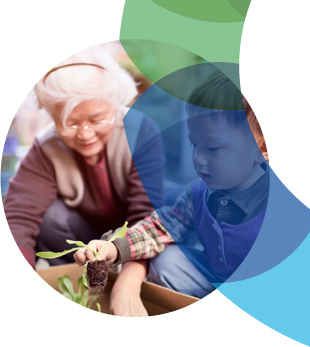 These approaches will support all service providers in creating senior-friendly communities and increase the proportion of seniors who feel connected to family and friends. Neighbourhood Walks which are led by seniors. This activity has both a health benefit and a community because the seniors pick up seniors from the area. Free coupons for hair grooming which give seniors the opportunity to learn about the programs and make connections. Seniors created a “supper hour” which is held once per month. This meal is completely senior operated, shopping, meal preparation. To engage many experiences and expertise we have created Local Neighbourhood Committees which are comprised of agency, health and recreation staff. The members of these committees help with outreach strategies, referrals and program recommendations. For more information about Welcoming Seniors’ Spaces, please contact Angela at angelas@burnabyhn.ca or 604-431-0400. We invite you to call the agency in your area to train as a volunteer or to join one of their programs.